Why no early Sunday Tube service for Olympic Games? "Basically, why on earth are they not running trains as early on Sundays as they are during the week, when the same events are running with 8am starts? I've tried 4 different train lines from my area and none will get me to Stratford before 8.30am. I'm based on the Met line/Chiltern Line in Chorleywood. I looked at using Watford Junction station, I looked at driving to Stanmore to use the Jubilee line, but that doesn't start before 7am?! 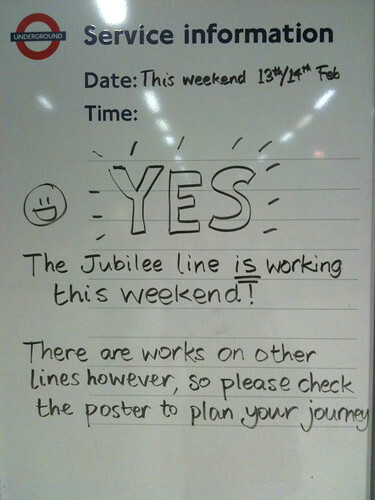 The Jubilee line, possibly the most used line during the Olympics, not starting before 7am on Sundays when events start at 8am. I feel utterly let down and ripped off! I emailed the Olympic Contact Us site and just got an email back with a link to First Group, ie drive there! It says you have to get to the car park 90 mins before you get to Olympic Site, and to the Olympic site an hour before you need to get to your Venue, that totals 2.5hrs. The car parks don't open until 6am, the events start at 8am, so I can't even allow enough time! Has anyone done the maths on any of these timings?! There is talk of starting the Sunday service 45 mins earlier, but that is yet to be confirmed, reflected, on the time tables (for my area at least) and is still not enough time, even if they do it. It all seems so ill conceived, badly thought out and the left hand has no clue what the right hand is doing. I have tickets to shooting and diving too and quite frankly have lost my appetite for the Games altogether. I thought the whole idea was to discourage us from driving into town, but they are not providing suitable alternatives. I have tried speaking to the Olympic helpline, and one lady, though very sweet, knew nothing! 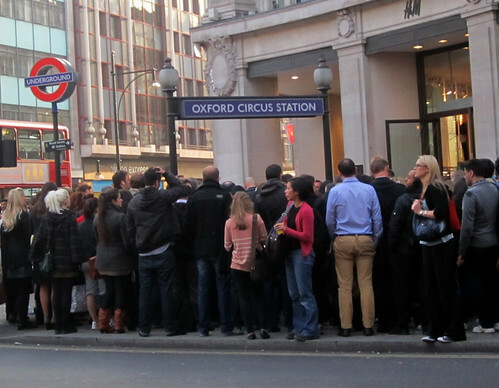 Said they hadn't had the timetables yet for the Underground, can that really be the case? Then why, oh why, am I bombarded with emails almost daily asking me to plan ahead, plan my transport, book my transport, when the timetables haven't even been released! I would dearly love to plan my journey, I've been trying to for over a month! I hope that common sense prevails and someone actually realises that you have to start the trains by 6am latest, preferably 5am, in order for people to have a fighting chance of getting to their events? They should run the trains for the same week day hours all week, including weekeneds for the Olympics, the event times don't change, why should the train times. We may not need quite as many trains, since no rush hour to deal with, but we certainly need them to start as early. I naively thought, the Tube would provide an adequate service. I live 30 mins from Baker St by train, but I cannot get to the venue before 8.30am using public transport, which means I won't enter the venue until 9.30-10am earliest with security checks, which means I miss the first match, and some of the 2nd. I paid £140 for 2 tickets and I wish I hadn't now. " If anyone has any other suggestions for Lisa to get into London in time for the games, she'd love to hear. Also if anyone from London Underground has a response for Lisa that would also be great. She's emailed Seb Coe & Boris Johnson in her despair, but could well be waiting until the next Olympics before she gets a answer from them. Here's something for fans of those 3D cutaway London Underground station plans that I've blogged about. Andrew Godwin is starting to build a collection of 3D diagrams of Tube stations that give you an iteresting view of the stations and interchanges. It's still a work in progress and at the moment has only the stations he knows well: King's Cross, Old Street, Bank/Monument, Oxford Circus, Seven Sisters, Walthamstow Central and Shadwell & West Silverton on the DLR. Hat tip to James Whateley for alerting me to this. You can drag each view to spin it, and use the mouse wheel to zoom the view. You can focus on different parts of the model using the "Focus:" selector, and hover over features to get information. There's a lot of discussion on a discussion group for things you'd like to see added, corrections, improvements etc which Andrew seems to be taking on board. Is it a train? Is it a Tube? Is it a bus? Yes, It's a SuperCar. 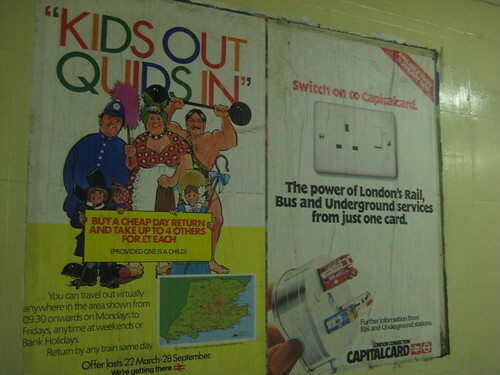 So enthused a brilliant ad from 1991 promoting the TravelCard - then called the CapitalCard. Thanks to London Bus & Track, the Supercar has been restored. 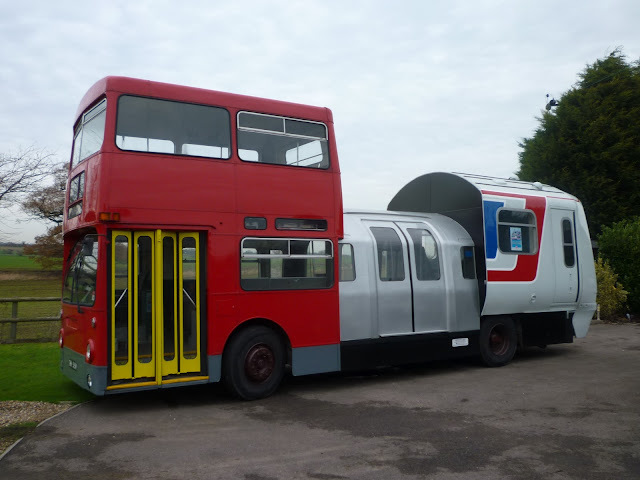 The combined London Underground carriage / bus / train will be on the streets next month. The Epping Ongar Railway said "Supercar will be out and about this summer, attending a number of functions and making some surprise appearances… so keep your eyes peeled and cameras ready…. Next week Supercar will be at the Bus Rally on 1st July at North Weald airfield, when there will also be a special shuttle bus linking the railway and Bus Rally, details from the timetables page on our website." There were a number of posters around at the time advertising the virtues of the CapitalCard (see the one pictured below that I found at Richmond station). But I never knew that an actual real Supercar had been produced. Hat Tip IanVisits who found that the Epping Ongar Railway had unveiled its appearance again. RMT leader Bob Crow was full of the joys of summer today when he warned that Friday's bus strike over Olympic bonuses could lead to London Underground closures. Crow said it could have a "massive impact" on Tube services and "has deep concerns about the safety implications of trying to cram hundreds of thousands of extra journeys into a system creaking at the seams and our safety reps will be monitoring the situation closely on Friday." He continued: "Any threat to staff and passenger safety and we will of course take the appropriate action. The situation on Friday could prove the acid test in dealing with the Olympics"
London Loves Business reports that Crow announced that staff should cite health and safety regulations if too many people board the trains and that drivers should refuse to drive. However London Underground operations director Nigel Holness, said: “London Underground has an excellent safety record and is one of the safest metros in the world, and has well-practised congestion management procedures to deal with large numbers of customers. If you're travelling on the Bakerloo Line, take a look at their London Underground in-carriage maps. You'll see that some pink boxes above some stations showing people where to change for Olympic venues. Chris Pearson spotted these on his way home & kindly took some photos. I haven't seen in these on any other lines yet, but perhaps they will be appearing on other lines too. Let me know if you see any. After recent tests, Virgin Media's Wi-Fi has finally been rolled out onto some London Underground platforms and stations. The BBC's Rory Cellan Jones tested it couple of weeks ago and wondered what the service would be like when thousands of people were using it. London Underground Wi-Fi Poster by Trowbridge Estate I've seen the Wi-Fi sign pop up whilst underground but wasn't fast enough to register with Virgin to see if it worked, as I quickly went "out of range". If you have a WiFi enabled device, you will be able to check for the latest travel information online and for example access your emails. The signal will be available in ticket halls, corridors and on platforms. A one-off registration is required to access the online service which will be free during the summer. Access to travel advice will remain free after the Games. We plan to have 80 Tube stations WiFi enabled before the Games. For more information, please visit tfl.gov.uk/wifi ." I haven't been at any of the above stations long enough to see how the Wi-Fi worked, have you? I'd been keen to hear what experiences you've had accessing the free WiFi at stations and whether it's worked at deep level platforms. Thanks. 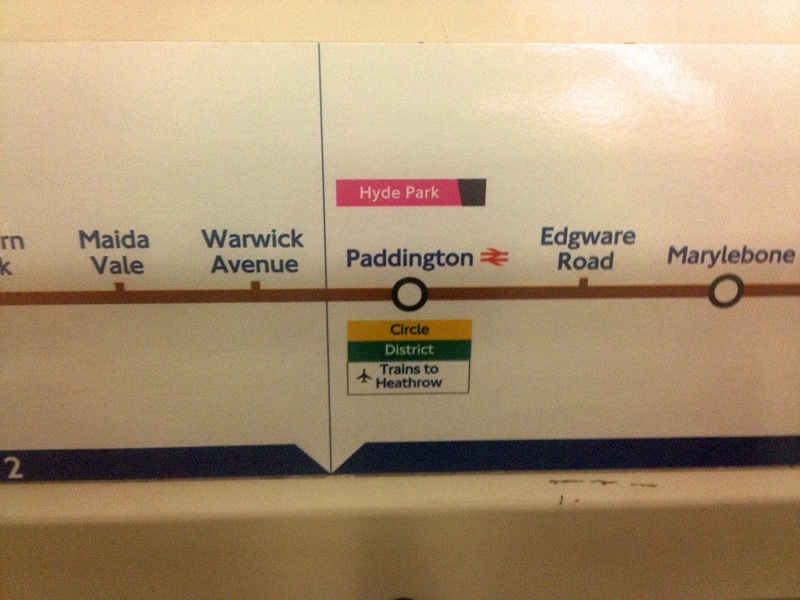 Those with the brand new London Underground Map may have noticed that the "dagger" by the Waterloo & City Line shows a different description for the Olympics. 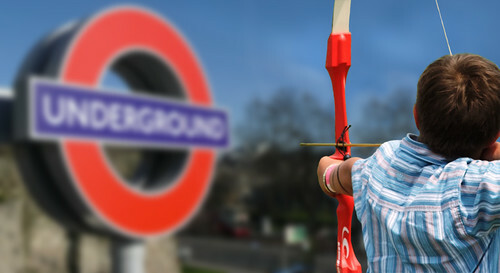 "During the London 2012 Games the line will operate 0621-0100 Mondays to Fridays and 0802-0100 Saturdays and Sundays." So for the first time since 1947 the line will be open on Sundays! I also discovered that it will run until 2am for the opening ceremony. As Mark Morris who brought this to my attention said, "I don't know why TfL haven't publicised this yet, but for once a positive story around transport over the Olympic Games". Following a ballot at the end of May the RMT have announced that key control centre Tube staff have voted in favour of strike action. The row is over over jobs and conditions of service. 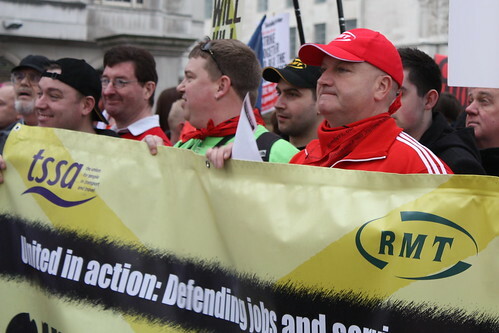 Bob Crow of the RMT said “This group of workers are absolutely key to delivering the service on the Piccadilly line and sub-surface railway and the way that they have been treated by the management at a time when the system is under intense pressure is nothing short of shocking. “These are the same key staff who keep services running when demand is at a peak and they are the same staff who manage the problems when the lines are hit by breakdowns and failures. They deserve respect for the job that they do and not the imposition of inferior working conditions and the threat to jobs. Nigel Holness London Underground's Operations Director believes that all the issues have been addressed and said "We have been in discussion with the unions across the entire Tube network, including the sub-surface lines, since 2007 on the impact of changes arising from our upgrading of signalling systems. We have already addressed nearly all of the issues raised by the RMT, and I would urge the RMT leadership to continue working with us to help staff prepare for these changes, which will be implemented in five years' time." As with most strikes there's still room for talks, so keep an eye on the news for updates. However, the Mayor recently got back to Val Shawcross (Deputy Chair of the London Assembly's Transport Committee) on a number of unanswered questions that she had posed to him. photo by version3point1 One of those questions was how many complaints were received about London Underground services, by line and in total, for the latest available reporting periods?" 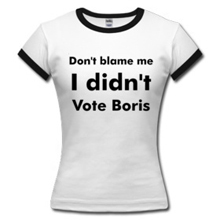 Boris' response from the question asked on May 23. "A record 1.171 billion journeys were made using the Tube in 2011/12. During Period 13 (4 - 31 March) of this year, LU carried 92.7 million passengers. During Period 13, there were 1.54 complaints for every 100,000 passenger journeys. These figures compare with an average of 69 complaints for every 100,000 journeys, recorded across the Train Operating Companies. For the year 2011/12, LU recorded its lowest ever level of Lost Customer Hours since the measure began in 1999. Those travelling on the Bakerloo Line seem relatively happy with their lot & those on the Waterloo & City hardly think of complaining about their one stop journey at all. During the Olympics the Jubilee Line is going to be one of the most used lines, so it will be interesting to see what happens to these figures over the summer months. Last night passengers were led off a London Underground Central Line train. A Thames Water pipe burst and litres of water poured down a ventilation shaft and flooded tracks at Stratford station. Today the line is still suspended between Bethnal Green and Leytonstone. 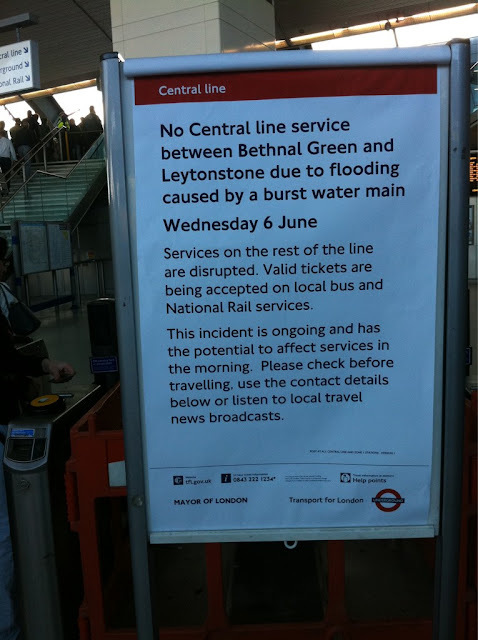 Nigel Holness, LU's operations director, said: "The Central Line is currently suspended between Bethnal Green and Leytonstone due to flooding in the Mile End area, caused by works taking place to a Thames Water main at street level. "Water has come through a nearby Tube ventilation shaft, flooding the track, and leaving us unable to run services. London Underground is pressing Thames Water to resolve the situation as soon as possible to enable us to get services back up and running, but it is likely the suspension will be in place for some time." Londonist note that somewhat ironically, that Thames Water have decided to lift the hosepipe ban "As if by way of an apology, Thames Water also announced this morning that it could lift the hosepipe ban imposed earlier this year; we assume that the rainfall during the Jubilee celebrations makes up for the 2m litres lost in Stratford." It's like that the disruption to the Central Line will continue throughout the day, so it worth following TfL’s live service updates if you need to use the Line further east than Bethnal Green. 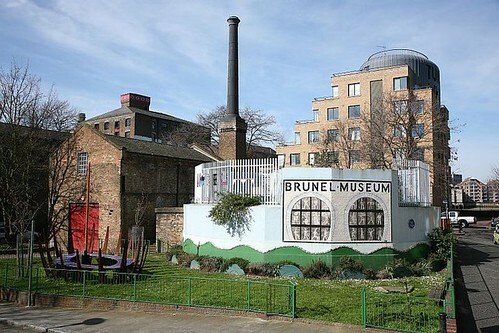 As part of the Open Garden Squares Weekend from 9th - 10th June 2012, The Brunel Museum will be organising rides on model steam trains along Railway Avenue. The Museum stands in some lovely riverside gardens planned & planted by the local community. 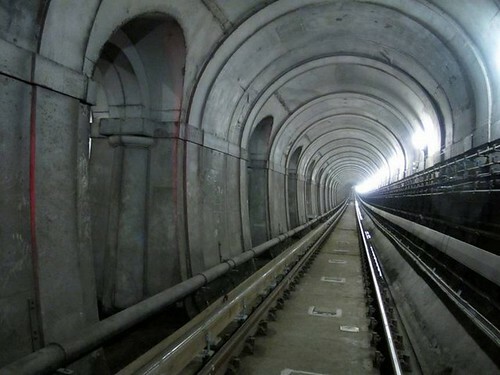 Also for the weekend, and for the first time since London Overground have taken over the area's Thames Tunnel, they will be switching on the Tunnel lights for floodlit train tunnel tours. Robert Hulse from The Brunel Museum said: "From the station platform visitors can see the pillars and portico of Brunel’s magnificent grotto, stretching under the river. The archways are now empty, but they once held shops, tightrope-walkers, sword-swallowers and fire-eaters in the world’s first underwater fair!" Both the steam train rides and floodlit tunnel tours are free. Brunel Museum are also holding £5 tours of the Grand Entrance Hall, a secret underground chamber, where you can descend a temporary staircase into a huge underground space half the size of Shakespeare’s Globe. For more information on all these events, visit the Museum's website. After yesterday's successful trial at a "secret" location TfL have announced the 80 London Underground stations that will receive Wi-Fi by the end of July. Virgin Media’s Jon James said: “We’ve been working round-the-clock to install and test the WiFi and are about to connect some iconic and world-famous stations to the internet.” The stations include Angel, Barbican, Covent Garden, Charing Cross, Green Park, Hammersmith, Finsbury Park, Kentish Town, King's Cross, Leicester Square, Liverpool Street, Oxford Circus, Old Street, Oval, Paddington, Seven Sisters, Swiss Cottage, Stratford, Vauxhall, Victoria, Warren Street, Waterloo and Westminster. London Underground's strategy director Gareth Powell said: "The first stations include some of our busiest and most well-known destinations and we're on track for a successful launch this summer, all delivered at no additional cost to fare-payers or taxpayers." Yesterday the BBC's Rory Cellan Jones was filmed using the Tube Wi-Fi service at a secret location and said it was "pretty fast" and added "let's see how it goes when thousands are using it". 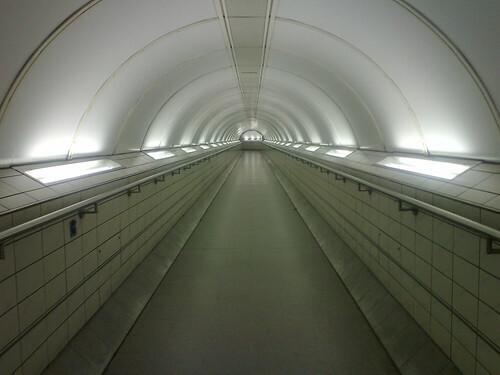 Currently The Virgin Media contract is only for ticket offices, escalators and platforms because it would have required major construction work to have added connectivity to the network's tunnels. 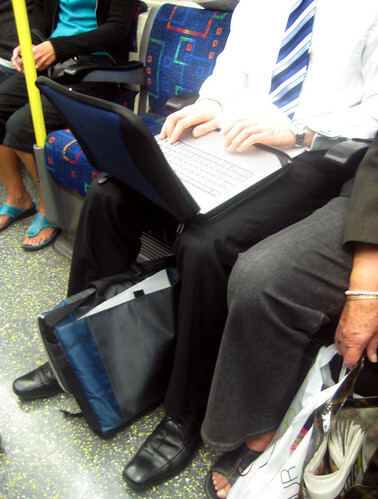 But if you are on the Tube in an area within the stations covered, there may be enough range to pick up a connection on a train itself. 120 stations will be fitted out by the end of the year.